Thanksgiving is over, and you can hear those sleigh bells in the distance. Read here about the first 6 days of our 12-day plan to kick-start your Christmas and then read days 7 through 12 below. On the seventh day of Christmas, my true love gave to me a neat place for gift wrapping! There are plenty of fancy gift wrapping stations available at Target, Ikea, and the Container Store but you don’t have to spend a lot to organize your gift-wrapping station. You can start by clearing a space on the dining table or in the kitchen or office. It does not have to be a big area but just a place where you can leave your gift-wrapping gear out for the season. You can use a large plastic cup to store scissors, pens, pencils and gift tags (I always seem to lose the scissors while I am wrapping). Keep all of your Christmas bags stored in a single larger bag and store your bows in an old shoebox. On the eighth day of Christmas, my true love gave to me a plan to make my holiday meals! Remember Thanksgiving? It seems like forever ago! Last month we wrote a 10-day play to prepare for Thanksgiving that you can repurpose for Christmas! You can read about it here and don’t forget to think about how you can re-use leftovers or make a little extra of something for multiple meals and events. On the ninth day of Christmas, my true love gave to me yummy Christmas baking! Baked goods are a great gift for teachers, neighbors, mailman, doctors, and other acquaintances. It is so personal to share a family favorite or plate of cookies to show that you spent time thinking of someone during the busy holiday season. And don’t forget to include the recipe! On the tenth day of Christmas, my true love gave to me plenty of holiday parties! So many holiday parties to go to during this festive season. After a couple of extra Thanksgiving pounds, the last thing I want to do is try to fit into a cute party dress. Give yourself a break and pair a pretty red sweater with a black top and pants. If you feel like buying a little something new, Macy’s has a designer called Aflani that designs loose-fitting tunics and pants. And check out this beautiful red jacket! On the eleventh day of Christmas, my true love gave to me time to relax and have some peace! 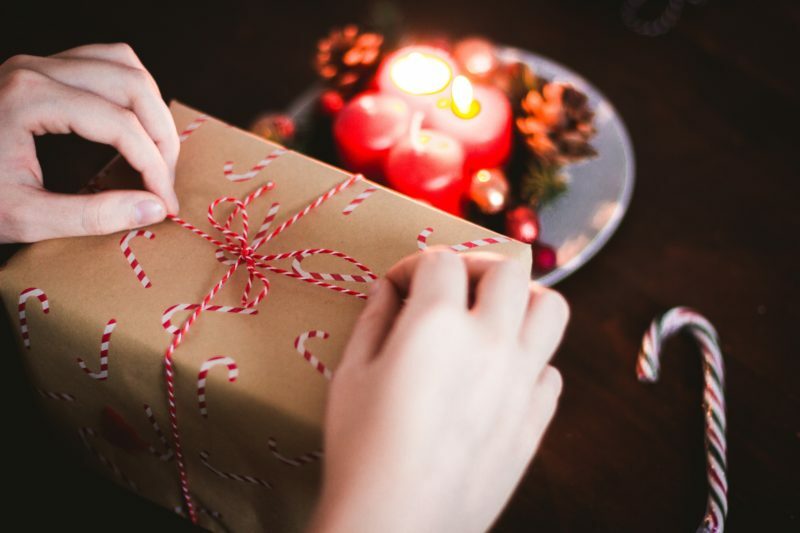 Christmastime can be so busy, and although traditions are what make the season special, you might examine if they are really adding to your family’s holiday or just adding work for mom. A few years ago, my family examined the different activities and traditions that we have for Christmas. We found that many of the things that we did were leftover from when we were little kids or didn’t add anything to our holiday enjoyment. We decided to give up some activities for one year and decide next Christmas if we missed it. Here is a great article that might help you think through your traditions and decide if some traditions are a holiday-maker or a just a mom-breaker. On the twelfth day of Christmas, my true love gave to me the time to enjoy friends and family! Big Secret – There are so many tasks to accomplish during the holidays that sometimes it can feel like more trouble than it is worth. Remember to take time during the holidays to hold on to the wonder of the season.